You cherished my youth, which blossom like a flowering plant. But time will come when the teeth, that once where white. And will drop off leaving the mouth wholly putrid with smell. But don’t forget, you once kissed those lips. Time will come when radiance on my face will fade away and the putrescence (smell) of aged stinks. Amazing lines! Indeed, frustration in old age is evitable, if marital love is based on beauty (the physical) or favour (riches) as the set fragrance of youthfulness and money fades. Real men and women stay faithful (today’s scripture VS 15). They don’t have time looking for other partners because they are too busy looking for new2 ways to love their own. A strong marriage isn’t magically created. When you say, I DO, it is built on a lifetime of I Dos such as: I DO love you! I DO cherish you! I DO choose you above others! IN 2018, never let sun go down on your anger! Forget the past and begin again! A happy marriage looks like the future and not the past! Men must catch this: A woman wants a man who protects her like a daughter, love her like a wife and respect her like his mother. Forgive your partner in advance because offences will surely come. Marriage is not 50-50. Divorce is 50-50! Marriage has to be 100-100. It is giving everything you have got. If you are not married think of tomorrow and let the above poem and God’s word teach you a great lesson today as you pray and wait on the Lord for a life partner. There shall be no marital mistakes! Be at the OGODU MANNA MOUNTAIN this weekend, February 25th, 8am for the ANNOINTING SERVICE: WEDDING GOWN ROBBERS MUST DIE! Come with point of contacts, names of family members and marital prayer points. This year is your year! Amen! In your own words, pray about today’s word as led. Ask G0d for the grace today, to be faithful to your spouse. I shall not make a marital mistake. Cancel every marital mistake now and for the next 3 days. Loose marital connections/ life partner and wedding in 2018. Pray for your spouse today if married. Pray about today seriously now. 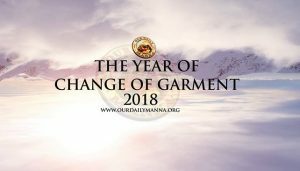 Previous Post:Daily Manna for Today February 18 2018 – FOLIE DE GRANDEUR: AVIOD MEGALOMANIA! 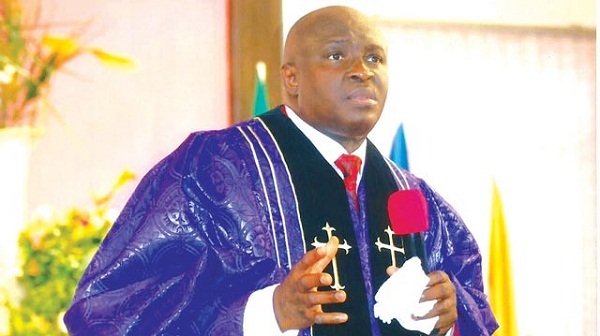 The Lord will Visit you this year, your Garment for a Marital breakthrough is changed, Grow in faith, if you are opportune, come and meet Pastor Chris at Manna Mountain Ogudu, Lagos Nigeria.